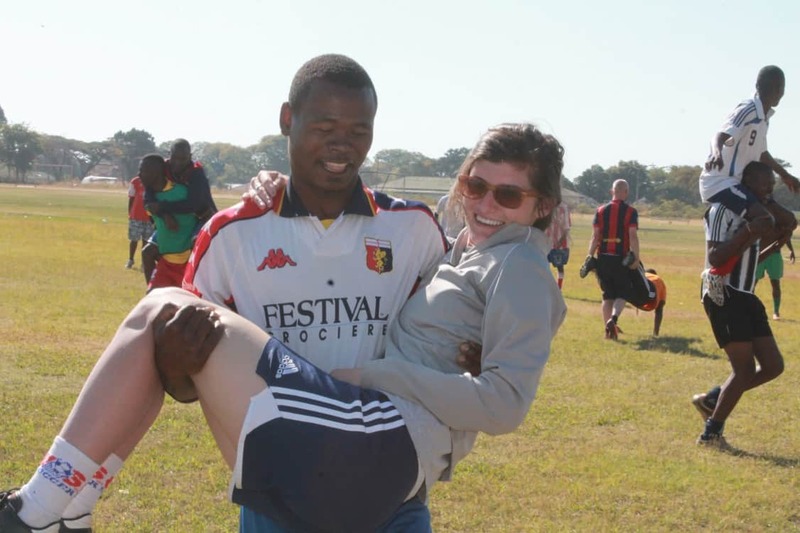 CAC volunteer and intern Sarah Thompson blogs about her time in Chilalabombwe, Zambia with Malalo Sports. July 30th 2015. Before arriving in Zambia I wasn’t really sure what to expect. Though I have done some travel to developing countries in the past, Africa seemed to be quite different from everything I have experienced and I will admit somewhat intimidating. But I was wrong. From the moment of my arrival in Lusaka I was greeted with friendly faces. After an exciting first week in Kabwe, Zambia our team of five adventured on a day-long crowded bus ride followed by an even more crowded thirty minute taxi ride to Chililabombwe, our destination for the week. This small community, which resides in the Copperbelt, was surrounded by mines and mountains of mining waste. Our long travel day ended with what else but a dinner featuring fried chicken from the hungry lion, a soon to be favorite for the week. From our arrival the calm and friendly nature of the community was evident – although this is not unique in Zambia. Regardless, it set the tone for a week filled with laughter and lessons by everyone, especially myself. It would be my first experience with a year two program. As soon as we stepped on the pitch I found participants were eager to share their knowledge of games from the previous year and ready to work to build an even stronger foundation. 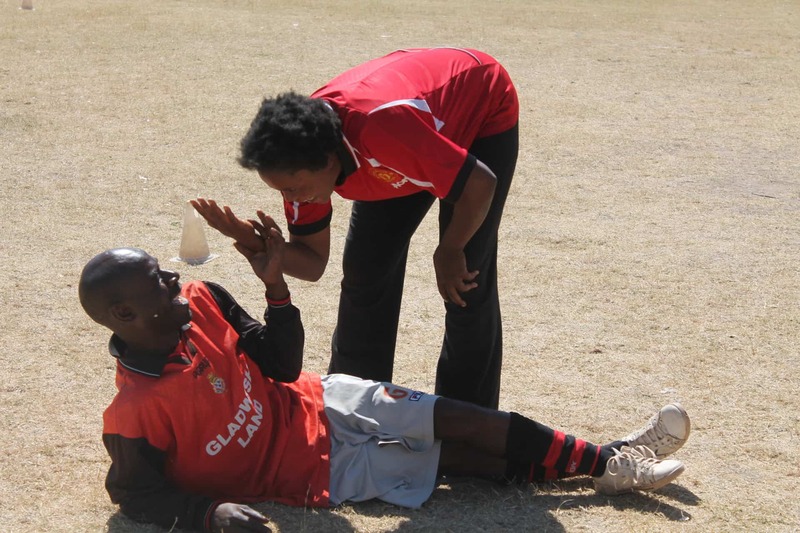 The focus of the week included gender equity, HIV, drugs and alcohol as well as a large portion on environmental games due to the local mining population. By working with coaches in their own communities it fosters creativity to solve problems with multiple solutions. While I thought I adequately addressed an environmental issue just one day ago, these special coaches showed me that just with a small tweak the game could come to life in a different way. That is one lesson I have learned in my short time with CAC – that we are always learning and changing. It seems to be what makes CAC so special. Previous: Can I get a Whoop? Next: Malawi. The Warm Heart of Africa.